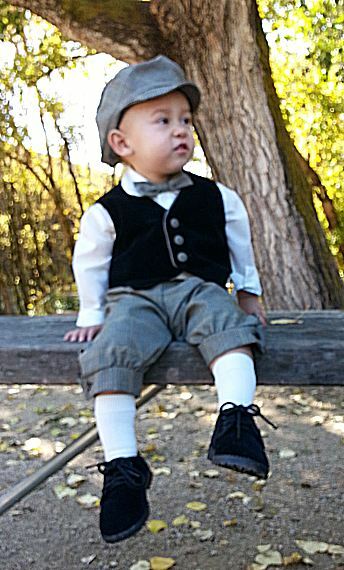 DapperLads - Holiday Black Velvet Vest & Knickerbockers Set - Knickerbockers - US made Victorian fashion boys knickerbockers sets with genteel nostalgic appeal. Get a gallant English look reminiscent of a Victorian-era Christmases with this fancy yet comfortable 5 piece velvet knicker set for infant boys. A popular choice for Fall and Winter special occasions. The lined vest is in a black cotton velvet-finish material with piping and buttons covered in the knicker material. 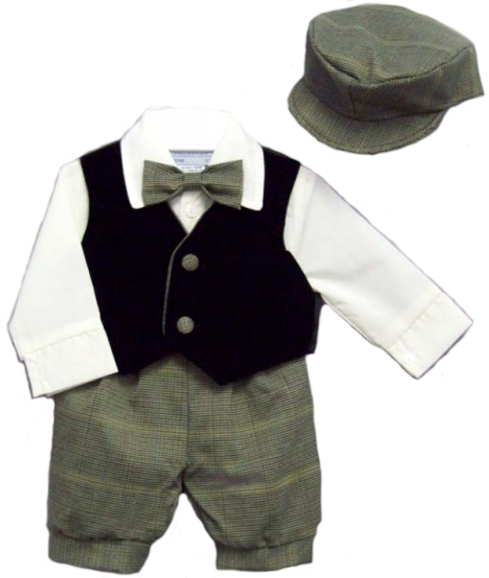 The knicker pants, bow tie, and cap are in a brown and gray plaid wrinkle-free polyester. The long sleeve dress shirt is a off-white/ivory cotton polyester blend. Machine wash. Made in the US by Just Darling. If the size you need is not available please call us! Sizing Note: This outfit runs small. 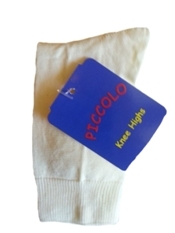 We recommend ordering up one size from what your child usually wears. Get the complete outfit (optional) shown on the model with ivory knee socks and black velvet shoes.